Credit cards allow users to purchase first and then pay for goods later, sometimes even in installments. Credit cards are monetary tools that can either save you a lot of money or put you in massive crippling debts. This depends on how you use the tool and if you understand fully of how it works. Let’s get into a little history first. Credit cards became available for use during the 1920s in the United States and were often given by individual companies (something similar to club cards). These companies allowed users to avail the services first and then pay them later or on a monthly basis. These were only given to loyal customers. The usage of credit cards become huge following World War II, with the first card that allowed usage at multiple stores and businesses being introduced by Diners Club in 1950. The company charged the users an annual fee and billed them on a monthly or yearly basis. In 1958, American Express also introduced a credit card. The company still issues these cards and is one of the most popular credit card companies. At this point banks were not yet introducing these, but that changed when Bank of America issued BankAmericard (later renamed to Visa) in 1959. This changed the whole system of how credit cards worked and under this system, merchants were paid quickly by the bank and the bank later deducted or charged the holders at the end of a billing period, with interest. This system is still used widely today. There are a few things that appear on a credit card. Numbers and the holder’s name on the front, a magnetic strip and three digit numbers on the back. The numbers on the front and the back and the magnetic strip hold some significance. The numbers on the front are serialized that lets the system that is used by the card, the kind of card it is (diners, travel, entertainment, MasterCard, etc. 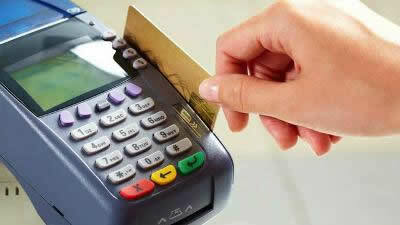 ), and the rest are often the type of bank or the institution that has issued the card. The magnetic strip on the back also carries information such as encrypted PIN, country code, currency units and amount authorized, etc. This information changes depending on the bank that has issued the card. The three digit number on the back is usually a security pin known as CVV code that allows users to make online transactions. The cards allow you to purchase something that you require and allows you to pay for it later on at the end of the month. It is also useful when you are purchasing something expensive, the companies allow you to pay them partially and over months. However, they do charge you a good percentage of interest. Credit cards are a good form way to establish or improve your credit rating score, which allows you to make bigger purchases or even get hired for a job. However, rating scores only improve if the person pays all their bills (or at least a minimum amount required) and does not default on any payments. As mentioned before credit cards are a good way to save money as well as make huge purchases in one go without having to empty your whole pocket. However, a lot of people start racking up bills because don’t see the plastic as real money. It is important to ensure that you are able to pay the amount that you charge on your credit card at the end of every month.